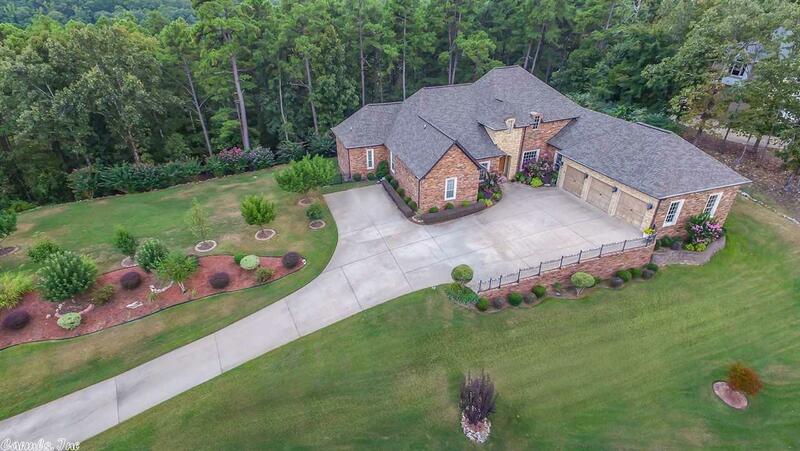 Privacy and seclusion behind the gates of Chenal Downs. This home is sitting on the crest of a magnificent plateau offering panoramic views. Incredible opportunity to be surrounded by million-dollar homes for less than $600K. This home lives like a one level and features three living areas, formal & informal dining, 4 bedrooms and 3 1/2 baths. Additional features include two fireplaces & three car garage. Most of the 5 acres are wooded for very low maintenance. Additional 5 acres, available for purchase.